Who we are We are a family run business (ONLINE STORE) and our office (NO SHOWROOM/DISPLAY CENTRE AT THIS STAGE)is located in Lakemba NSW Australia specialising in kids cubby houses, wooden swings sets, activity forts, play gyms, climbing frames, indoor toys, play equipment with a range suitable from backyard use to child care centres and other products most of which are manufactured in Australia and the USA with a 10 YEAR STRUCTURAL WARRANTY. Fantastic Playgrounds cubby houses have a selection of raw, stained or specially treated timber that is child friendly and safe for all ages. This means a quality product at an affordable price. We have a wide range of cubby houses that can be raised off the ground from 30cm to 1.5 metres. Accessories can then be added to customize your cubby house including slides, ladders, rockwalls, ropewalls and sandpit areas. 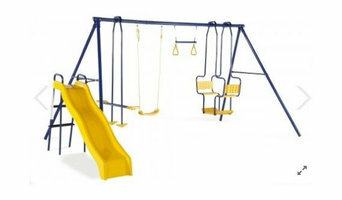 Monkey bars and wooden swing sets can also be added to create a fantastic playground for your children. All kids are different so you can choose cubby accessories to suit your child or a fort with the package already included for ease. We also have a range of equipment suitable for use in childcare centres, parks, councils and primary schools. Please contact us today for any enquiry so that we can assist you in finding the right product for your child and family. Sportszone Group is a long established Sports Construction Company that has been servicing Australia and the world for the last 15 years and have over 21 years’ experience. We have completed many projects on all scales. Some projects include Triathlon finishing track and hockey pitch, Sydney 2000 Olympics, Hockey fields in Japan, football pitches and putting greens in Macau, prestige courts in Mauritius and tennis courts and cricket pitches throughout Australian Clubs and private homes, as well as a number of large areas for school playgrounds. We studied long and hard to find out what it is that will allow YOU, the customer to see us differently. We came up with this………LISTEN to what the client wants and provide them with a hassle free experience. 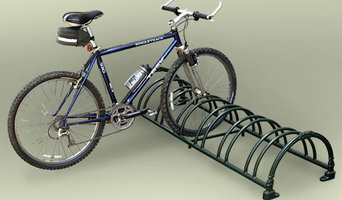 For any trip or outing on bikes or bicycle, bike stands are indispensable item you must have. They are generally portable gears that efficiently hold your bike to your car or any other vehicles. Jai Martial Arts is a family run business since 1984. Students from age 2, all the way to parents and adults train with us. The large choice of martial arts we have to offer is one of a kind. The school was started by master Joe Ingrati. At Much More Outdoor, we believe in quality product and quality service. Our team has over 22 years of experience in the landscaping industry, delivering innovative solutions for residential and commercial properties. We are a full service team, offering top quality synthetic grass, gazebos and decking for all sized spaces. Our great variety of synthetic grass is hard wearing and requires very little maintenance. No mowing or watering, it’s pet and child friendly, has high UV resistance and helps with hay-fever suffers. When you right of entry nearly total surveyor, Depreciation Schedule, Quantity Surveyor you may get the prudence that on your own clients that are building a property will use their services. Tax Depreciation Schedules Australia is best in it. Homevent Pty Ltd is an Australian domestic ventilation company that specialises in ventilation and helps to provide a healthy living environment for homes in Australia. Whether you want to shoot hoops with friends or plan a safe kids play area for your little ones, there’s a Normanhurst, New South Wales professional on Houzz that can help you turn your backyard dream into a reality. 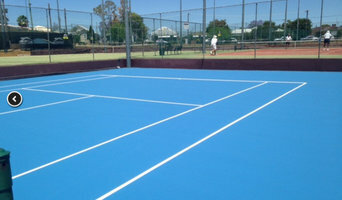 Sports court and outdoor play specialists in Normanhurst, New South Wales design, install, repair, resurface and replace sports surfaces, including tennis courts, basketball courts and playgrounds. They have a thorough knowledge of sport rules, regulations and standards, such as court dimensions and net heights, and are required to stay on top of the latest sporting technologies and flooring systems. They can assist with planning and council approval before construction begins, as well as other unforeseen requirements, such as drainage and retaining walls. Aside from surfacing, they can also provide lighting, fencing and equipment to complete a recreational area. Find a sports court and outdoor play professional on Houzz. Scroll through this page to find professionals that specialise in playground and sporting surfaces in Normanhurst, New South Wales, as well as play equipment and accessories. You can browse their latest projects, read reviews to see how other homeowners rate their work, and message them directly.